We had a bad case of bed bugs about two years ago. We suspect they came with the removalists when we moved house. The infestation became unbearable. We washed all the bed sheets in eucalyptus oil solution but this was only a temporary measure. It was not long before the bugs reappeared. We searched the internet and discovered the bed bug barrier and accessories. The results were fantastic. 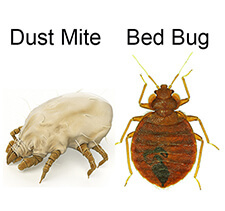 There has not been a single bed bug ever since we put special bed covers on the mattresses, and placed bed bug barrier cups with powder bug killer under the beds and lounge furniture. Our only regret is that we did not do this treatment earlier instead of suffering for weeks with itchiness and rashes.